This film unearths the true story of the man who became Saint Nicholas. 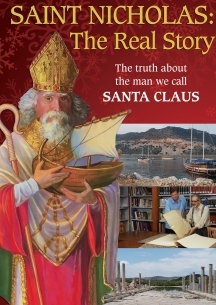 Everybody knows the story of Santa Claus, but who was the real Santa? To answer that question, Mark Wilson travels not to the North Pole but to Turkey and Italy to uncover the truth behind the legend. Using expert testimonies and new historical and scientific data, historians and archeologists have been able to piece together a portrait of the man who inspired the jolly image. Nicholas, a third-century Christian bishop, stood for truth at a critical time in Church history, and he profoundly affected the lives of all he touched. Find out how one man became a Saint and upheld the Christian Church.